Before Baby Doll, Chase thought life was pretty good. He is a successful NY City magazine publisher and world traveler, with a few sincere friends and the envy of many. He is locked into a respectable New England marriage with all the trappings, minus the pre-nuptials. He lives in a mansion overlooking a golf course with his loyal wife of twenty-plus years. Until now, the only woman he has ever loved. As a big shot New York publisher, Chase is driven like a demon to succeed. It’s simply what the business demands. Chase and Baby Doll, his advertising director, share everything—from the same office coffee urn, the stunning views of the Manhattan skyline and whatever they contributed to the magazine’s bottom line success. And they share much more. Chases’s wife, Honey, is so wrapped up in her own artistic success, she never sees the warning signs her marriage is in trouble. As for Baby Doll, she didn’t realize how much she loves and needs Chase until he is transferred to a new job. At the center of this ongoing love triangle, Chase struggles with the impossibility of loving two women, knowing he run the risk of losing them both. 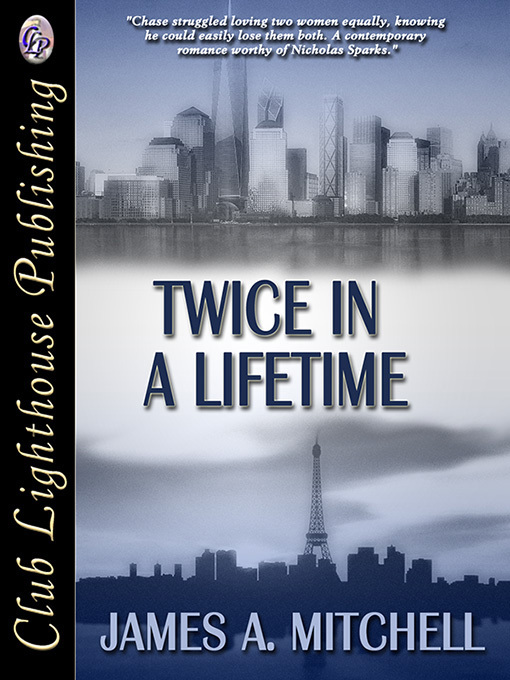 Their careers and love lives careen from Manhattan to Paris and back again. The taut, roller coaster ride drags them all to hell and back. 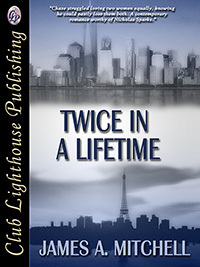 Ultimately, it’s a novel about getting second chances in life and, then, leaving nothing to chance. BEFORE BABY DOLL FELL into his arms, Chase thought life was pretty good. He was a successful publisher and world traveler, with a few sincere friends and the envy of many. He was locked into a respectable New England marriage adorned with all the trappings, minus the pre-nuptials. He lived quietly in a mansion overlooking a golf course with his loyal wife of twenty-plus years. Until now, the only woman he had ever really loved. As a big shot New York City magazine publisher, Chase was driven like a demon to succeed. It’s simply what the business demanded. His long hours away from home included evenings often spent sleeping fitfully on a cramped office couch, especially when the monthly publication deadline hung over his head like a guillotine. On these occasions away from home, he kept an extra change of clothes at the office and showered at the gym across the hall. These were turbulent times for the magazine industry. Publisher and ad sales director joined each other at the hip as a matter of mutual survival. Together, Chase and his ad director, Baby Doll, sweated bullets every month over which companies would commit to buy advertising in the magazine before deadline, and which ones would drag their feet until a future issue. Total ad pages and the revenue they generated was still the name of the game. This simple sales dynamic leaves publishers and ad directors often chasing their tails together. And so, out of occupational necessity, Chase and Baby Doll shared the same pressure cooker, a sometimes glamorous, more often insecure world where glossy, full-page ads by far eclipsed the editorial content as the lifeblood of publishing. All magazines and newspapers were squeezed by competition for dwindling advertisers and fickle readers. “Does anyone even read anymore?” Chase often asked himself. The answer was obvious. Welcome then to the brave new world of the Internet and the mindless onslaught of direct online bloggers where everyone’s a publisher and no one’s accountable to the general public. High-cost, hardcopy newspapers and magazines were dinosaurs roaming aimlessly in a more nimble online world of electronic media. Chase and Baby Doll sometimes felt like their publishing careers were suddenly no more than a click away from extinction. They rode this monthly emotional roller coaster together, living from publication date to publication date as if their very lives depended on it, because it did. The financial condition of all publishing houses looked like the medical charts of a hospital patient stuck on life support. From the 32nd floor on Madison Avenue, Chase and Baby Doll shared the same coffee urn, open office landscaping and stunning window views of the Manhattan skyline, not to mention whatever success they contributed to the magazine’s bottom line. Yet past glories no longer guaranteed a magazine’s future. And so they labored on furiously toward an increasingly uncertain end. Spending countless hours together hunkered down in the trenches, Chase and Baby Doll became one in their thinking. They finished each other’s sentences, laughed at each other’s jokes, and let off steam openly about their frustrations. It was still all business between them until the fateful day the shocking news came down from the top brass that Chase was being transferred to another position within the company. On the surface this news should not have been the end of Chase’s world. Yes, uprooted from Upper Manhattan and dumped into the suburbs of Westchester County, was no New York City publisher’s dream come true. Still, it was a promotion nonetheless. Not just leading a single magazine, now the chance to lead several publishing ventures and, more importantly, an opportunity to finally exploit the Internet rather than be victimized by it. So what was not to like about the new job and why was he so down in the dumpster, Chase wondered? A couple of weeks later when time finally came for Chase to bid farewell to his old magazine staff, gallows humor ran rampant throughout the office, such as the light-hearted public jabs about Chase deserting a sinking ship or catching the last helicopter out of Viet Nam. Chase took all the barbs stoically because quite frankly, he was still unsure himself how he felt about the news of the transfer. Without consciously realizing it at the moment, Chase saved Baby Doll for his final goodbye. Or, was it the other way around? Did Baby Doll hang back from the office crowd deliberately so she could get in the final word?